"Indiana Elks Charities, Inc." was formed in the mid 1940's to administer our State Major Project which is to fight the various dreaded cancer diseases that strike hundreds of Indiana Hoosiers each year. The State of Indiana is indeed fortunate to have two major cancer research facilities which are located at Purdue University and Indiana University. 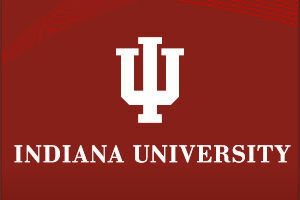 Both institutions have since become the recipients of Indiana Elkdom's generous fundraising efforts. Combined contributions to both institutions now total in excess of $8.1 Million. Although we wish it could be more, the Indiana Elks are indeed proud of this accomplishment. Download "I am why you give... You are why I am an Elk" - The heartwarming journey of a cancer survivor. Long before the Indiana University Simon Cancer Center was founded in 1992, the Indiana Elks Association was generously funding cancer research at the IU School of Medicine. In the past 50 years, Elks lodges from communities all over the state have worked together on their “state major project” to generate more than $4 million for cancer research at IU. From golf outings to ladies’ luncheons to casino nights to Valentine’s Day dances, generations of Elks have worked tirelessly to support cancer research. In more recent years, Elks funds have been directed specifically to young IU Simon Cancer Center scientists who are in need of start-up funding for their research careers. In 2008, the Elks committed to funding a new $1 million endowment that will permanently generate annual funding for young investigators and will encourage brilliant young people to pursue careers in cancer research. Since 1948, The Indiana Elks Charities, Inc., has supported Purdue’s faculty with Innovative Grants funding. These grants help researchers pursue pioneering ideas that might not otherwise receive funding. Fighting cancer is the major state focus for the Indiana Elks, and more than 59 Indiana lodges raise money each year for cancer research in Indiana. Please direct questions, comments or suggestions to the Indiana Elks Webmaster. ©1998 - 2017 All Rights Reserved - Indiana Elks Association, Inc.